AA celebrates 25 years to Tokyo: Pin to Win a luxury trip to Japan. Twenty five years ago yesterday, American Airlines launched service between DFW and Tokyo’s Narita airport. 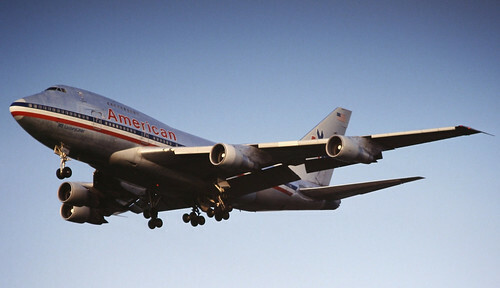 At the time, the only aircraft with enough range to connect the two airports was the Boeing 747SP, which was designed for ultra-long range flights. Darren from Frequently Flying has a copy of the seating map of the cabin. There was even a stand up bar (back in the day). Today, American celebrates 25 years of service to Japan and extends the celebration to its customers. American is launching an online promotion via Pinterest to celebrate the anniversary. Customers can enter between today and May 25 to win a luxury trip to Tokyo, including two round-trip Business Class tickets and a three-night stay at the Shangri-La Hotel Tokyo. Two Roundtrip Business Class Travel Authorization Certificate for any American, American Eagle, or American Connection flights, from any city served by American Airlines or its Airline Associates in the 48 contiguous United States to the Haneda airport in Tokyo, Japan.